With the threat of more assassinations on Bainbridge paralyzing the fortified island and spies in her own ranks turning her own men against her, Jillybean has to look to unlikely allies as The Black Captain brings his fury south to destroy her. He is consumed with the idea of revenge, yet he retains a cold, calculating rationality that Jillybean does not. 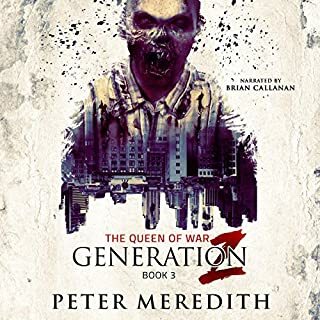 The stress of war, as well as the deaths of her friends and the man she loves by her own hand, is eating away at what little mental stability she has left. This book reminds me of why I loved the first 10 books of Meredith’s Apocalypse Undead series. 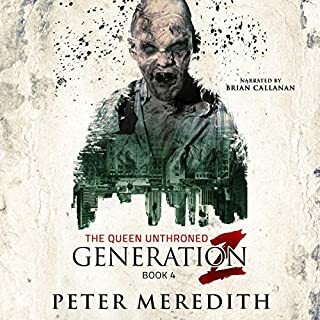 It finally brings together the first series and the other books of Generation Z. Brian Callahan is an absolutely amazing narrator. I was concerned as Basil Sands was such a hard act to follow, but Callahan truly maintains characters which makes the story easy to follow. This book’s ending leaves me craving more!!!! Savage fighting rages from one end of the bay to the other as the still-dangerous Corsairs splinter into factions, each battling to see who will end up in ultimate control. Trapped in the middle of the bay on a little nub of an island, Jenn Lockhart and her shattered defenders can only watch helplessly, knowing full well that they will be the eventual prize. And Jenn can do nothing. The battle has left them fearfully low on ammunition, and they have no way to cross the zombie-infested waters. Only Jillybean’s return gives them any hope - and yet this is the same woman who started the war in the first place. As usual,Meredith does not disappoint. Having read the 1st 10 Apocalypse books I found the battle scene a bit repetitive. Brian Callahan is a terrific narrator I was a huge Basil Sands fan, but Brian is fantastic as well. The ending leaves me loading the 4th books ASAP!! Phil Tarsus is a dreadful instrument of State justice. He's an Inquisitor, a man who makes a living rooting out and executing those people who have been charged with treason. Guilt or innocence mean little to him - he has quotas to fill after all. 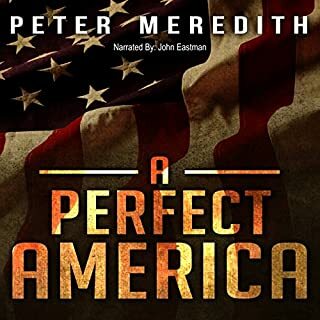 Yet when he unwittingly stumbles upon a secret involving someone high up in the new American government, he becomes a target himself. Unfortunately for Phil, there's nowhere to run that the government can't find him. I really wanted to like this book, however, I found it to be slightly annoying. The historical quotes began to be a bit too much. 2 or 3 would’ve sufficed. I loved the graveyard concept, but the abstract descriptions confounded me at times and I felt like I was probably missing many biblical, literary, or historical references. Maybe I’m just not smart or well read enough! Perhaps reading a hard copy may have been easier? The different voices could be difficult to follow at times. This would probably make a great play. I must say that the ending was great and moved me from a 2 rating to a 3 rating overall. This book is not for everyone. I think those who enjoy it will absolutely love it. And folks like me will just think it average. Perhaps it will grow on me at a future listen/read. With the great battle between man and the undead apparently won and the situation seemingly in hand, the president leaps into action to take all the credit he can for saving the country and defending the Quarantine Zone. Surrounded by battalions of television news crews, he authorizes Operation Swift Stand in which he commits the nation's entire rapid deployment force in a show-stopping extravaganza designed more to rekindle patriotic fervor and to lift his own sagging poll numbers than to stop the undead. Meredith does not disappoint yet again. 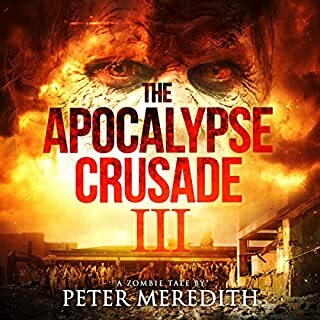 Some of the impossible happenings have to be ignored as it is a zombie tale after all....but the intensity of the battle scenes and the the character relationships and cliffhanger makes me crave more. I love how Meredith introduces a new character, names them, gives you back story and kills them off all on 2 pages! 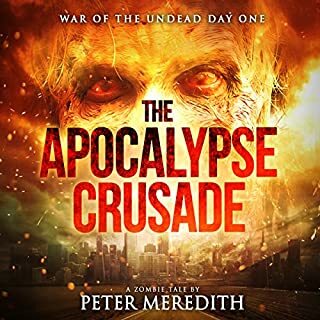 In an apocalypse, there is definitely a beginning where mistakes are made and the seeds of evil are allowed to sprout and take shape. However, an end is not so certain. Once an apocalypse occurs, not even death is certain. Sometimes, death is only the beginning. Finally. What a great story. "It is a far, far better thing that I do, than I have ever done...." With these words and a superb act of bravery and sacrifice, one of the most badly behaved heroes of all time ends Charles Dickens' great tale of the French Revolution. 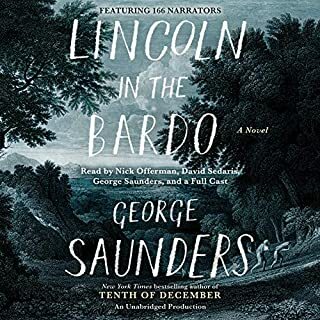 This is a firework display of a book, a crackling picture of the ravages and excesses of starving, furious men and the astonishing acts of heroism that usually accompany them. I have attempted to read Dickens in high school and college, but was unable to keep my mind from wandering. Therefore I thought that I didn’t like Dickens. How wrong I was. 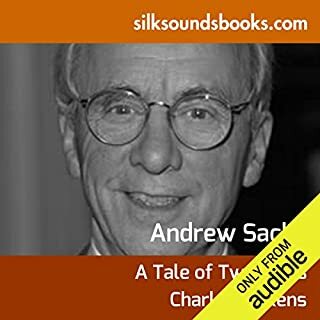 Andrew Sachs reads this book so thoughtfully that I was able to glean from the wordy chapters a scene around me. The inflection he gives to the characters allowed my mind the picture them and love or despise or empathize with them. His commentary in the last of the “chapters” speaks to me as to how he wishes to convey this timeless “historical fiction” book. I highly recommend this version if you want to appreciate what a genius of a writer Dickens was. This book (as Mr. Sachs puts it) is as relevant today as it was when it was written as it was at the time it was written about. What In the HELL Brother?! This detective/horror story was riveting. To be honest, I had to get past the grisly crime that is committed, but once I did that I didn’t know what was up or down. I love that one of the main characters isn’t introduced until half way through the book. Will Patton did not disappoint. 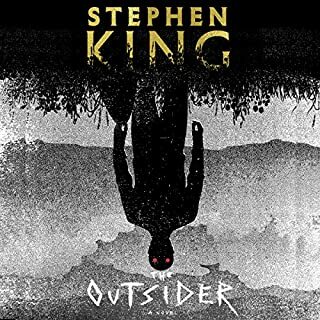 His narration and inflection fit the characters very well. I would highly recommend this book. One of the best from King since the Stand for me. So much character insight too! I love that! Zagreb, 1991. Ana Jurić is a carefree 10-year-old, living with her family in a small apartment in Croatia's capital. 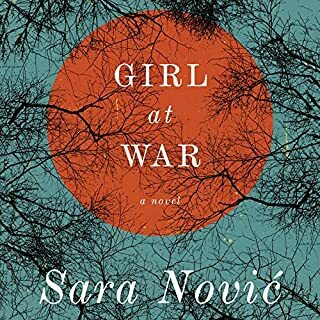 But that year, civil war breaks out across Yugoslavia, splintering Ana's idyllic childhood. Daily life is altered by food rations and air raid drills, and soccer matches are replaced by sniper fire. Neighbors grow suspicious of one another, and Ana's sense of safety starts to fray. When the war arrives at her doorstep, Ana must find her way in a dangerous world. A perfectly timed departure from the predictable template. I knew nothing of the war other than its existence. I feel like I could understand the turmoil more and what horrors genocide brings (other than the obvious) to the psyche of a survivor. I like the past and present ride. The ending makes you want more...a 2nd novel Sara? 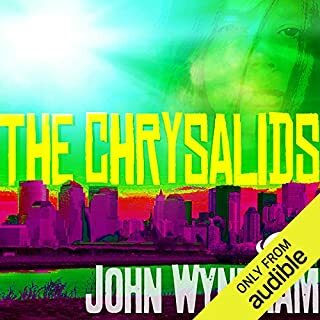 The Chrysalids is set in the future after a devastating global nuclear war. David, the young hero of the novel, lives in a tight-knit community of religious and genetic fundamentalists, always on the alert for any deviation from the norm of God's creation. Abnormal plants are publicly burned, with much singing of hymns. Abnormal humans (who are not really human) are also condemned to destruction - unless they succeed in fleeing to the Fringes. This book is a thoughtful view on a post apocalyptic world. 1000 years later and complete destruction, we’re still human and cruel. When reading keep in mind this was written in the early 1950’s. I enjoyed it!